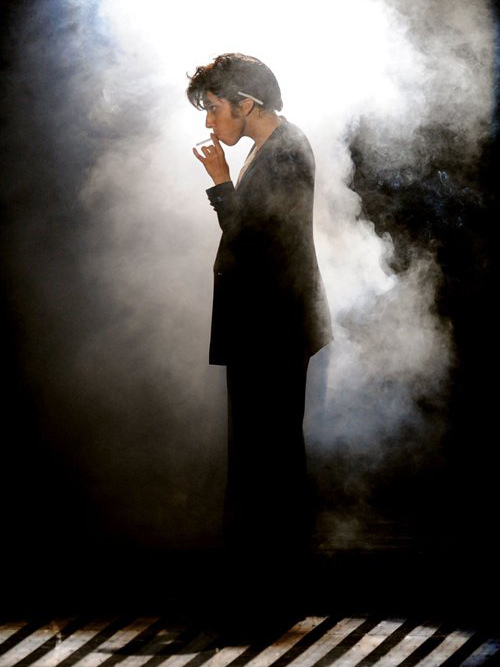 Singer Lady Gaga decided to dress as a man called: Jo Calderone. 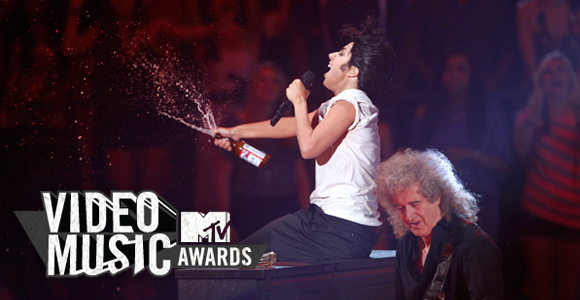 He received her awards of Best Female Video Award and Best Video with a Message Award for “Born This Way”, in the MTV VMA 2011, at Nokia Theatre L.A.
Lady Gaga opened the MTV 2011 Video Music Awards as her male alter ego Jo Calderone, in a simple white t-shirt and over-sized dark blue pants — but not with a song. Instead, Jo indulged in an extended monologue/rant about his girlfriend Gaga. Cloris Leachman (I will always remember her from Young Frankenstein) and the girls from the Reality Show: Jersey Shore (Sammi, Snooki, Deena and JWoww) Presented the award of Best Female Video to Lady Gaga and her song Born This Way. 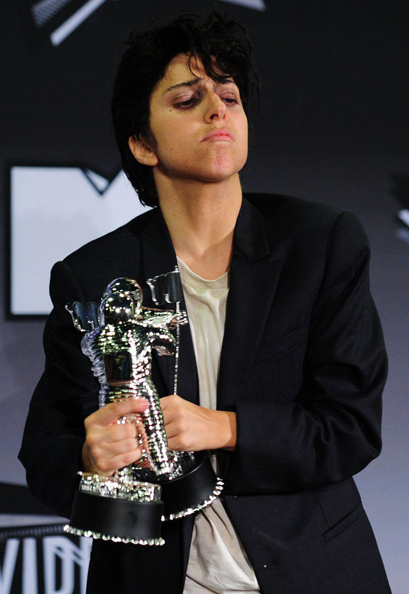 She received this award dressed like a man (she looked like Adam Sandler in the Wedding Singer). Lady Gaga as a man, presented Britney Spears with the Video Vanguard award at the MTV Video Music Awards, she tried to receive a kiss in the lips from Britney but she refused. Lady Gaga and Britney Spears then presented the performance of Beyoncé.